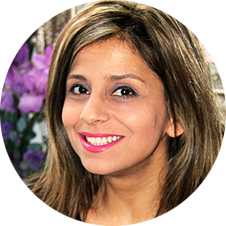 Mojgan Noorian Bellamy is the face and the Designer behind Mojgan Bridal Couture. Mojgan’s journey from schoolgirl to a UK fashion house owner is a fine example of one woman’s determination to succeed in a very fickle and challenging industry. After studying Fashion Design and gaining valuable experience from working with Designers such as Jasper Conran, Dee Ismael and Dianne Le Borgne, she realised with her distinct creativity she could not work for anyone but herself. She applied to the Prince’s Trust for finance to begin her dream. She managed to pass the criteria and convinced the judges to offer her a £3000.00 injection of money to start up her first design studio. Without this money it would have been difficult to start the business. 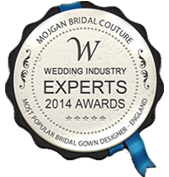 Shortly afterwards, Mojgan Bridal Couture was officially opened by the actor Graham Beakley. Was commissioned to design an Outfit for Helen Haskin; Godmother to Pippa Middleton, for the Royal Wedding at Westminster Abbey. 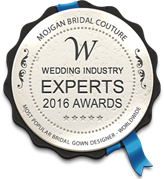 At Mojgan Bridal Couture we want to make each and every bride feel like they are on a journey with us while creating the gown of their dreams for their big day. We believe that a wedding is one of the most important events in a woman’s life and the dress needs to reflect her style, personality and shape. We aim to make each bride feel like a Princess. 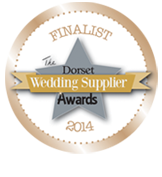 “I feel really honoured to be the Designer for the most important day of a woman’s life. I give them confidence, excitement, and grace and beauty on their special day”. 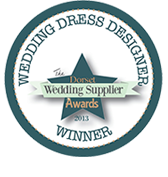 Our vision is while you walk with us on this journey from creating your wedding dress to the wearing on the aisle, is that you feel every bit the bride you imagined yourself to be. Strong, Confident and Elegant. Feeling comfortable in your Mojgan Bridal Couture Gown and knowing how incredible you look, knowing the quality of the fabric used on your dress is second to none, knowing that the dress is made and designed just for you.